Ravensburger is a manufacturer of jigsaw puzzles from Germany. The greatest success of Ravensburger's board game Memory. This game was released in 1959 was an instant best-selling game of the year. Since 1959, more than 50 million copies have been sold. 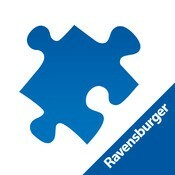 Ravensburger's producer since 1883 in games and puzzles. The many jigsaw puzzles from Ravensburger are available as art, a piece of history, a picture of a fairy tale or of known science fiction films. You can not name it or Ravensburger is a puzzle there. In 2010 Ravensburger came up with the ultimate challenge for puzzle area. The first jigsaw of up to 32,000 pieces, with a picture of the artist Keith Haring, in a box that weighs so heavily that you got a trolley at present. Are you looking for a specific Ravensburger article and you will not find it in our range, please feel free to contact our customer service .